The Locanda nel Cassero is located in the medieval village of Civitella Marittime, in the heart of Tuscany. Its very own name evokes the Middle Ages and the ancient memories of places where travellers would stop to rest and eat. The guesthouse is located in an ancient medieval palace nestled along the walls of Civitella Marittima, once the ancient “dungeon” of the castle. The property was restored preserving its history and its authenticity, with respect to the traditional architecture of Tuscany. The jewel of the Locanda nel Cassero however, is its restaurant which serves dishes of a Tuscan culinary tradition revisited by chef Alessandro Prosperi. Located on the main floor it consists of two halls and a terrace where one may have lunch or dinner, during the warmer months. The menu changes seasonally, using the freshest of local products of the territory, as well as the wine list being in the most acclaimed area of production with numerous labels that represent our area. Discover our Offers of Locanda nel Cassero! 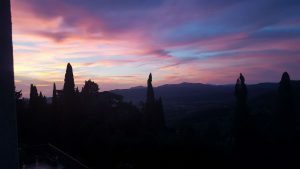 La Locanda nel Cassero creates special offers all year round for your holidays in Tuscany. For further information please contact or send us an e-mail. Play in advance and book your Easter holiday now! La Locanda has been create inside an original medieval building that is situated within the village and nestled along the ancient walls of Civitella Marittima, once believed to be the ancient “dungeon” of the castle. La Locanda nel Cassero is characterized by its warm, friendly atmosphere and its interior is characterized by the typical wood beam ceilings, original bricks of the house and parts of the “exposed” stone walls that create the ideal atmosphere to make guests feel at ease and right at home. La Locanda nel Cassero has 5 rooms. The décor is simple and in harmony with the atmosphere, where soft colors and wood furniture prevail in respect to the tradition of these ancient premises. The rooms combine tradition and comfort. In fact, they include all essential amenities for guests who wish to spend a vacation in an authentic setting but in complete relax. La Locanda nel Cassero offers warm Tuscan hospitality with comfort and tradition. In the Locanda for guests there is a large lounge/living room with fireplace and satellite TV, which is also used as our breakfast room, adjacent to it, one is lead to a large panoramic sun terrace where breakfast is served during the summer months and where guests may relax upon their return from excursions and possibly even unwind with a dip in the whirlpool (by reservation). Excellent restaurant on the main floor. We also organize wine tasting, horseback riding and biking tours, and visits to vineyards and olive oil producers. Prices on request. We offer luggage custody for guests who arrive before check-in or remain a few extra hours after check-out. Check-in is without a time limit. Guests are kindly asked to let us know in advance their estimated time of arrival. The rooms are non-smoking and pets are allowed upon request. Towels and linens are changed once every 3 days. The 5 rooms of the Locanda nel Cassero are located on the second floor (La Caccia and il Borgo) and third floor (Belvedere, La Romantica and La Piccionaia) of the Bed & Breakfast. The rooms on the third floor are in the attic floor. The Locanda nel Cassero can accommodate up to 12 guests. This makes the Locanda nel Cassero ideal for groups who want to spend a vacation in a place where time seems to stand still, in the heart of Tuscany’s most famous and most portrayed scenes in calendars and postcards, with easy access to all the most popular destinations such as Siena, Maremma and Val d’Orcia. Reservations are confirmed only upon payment of a deposit equal to 50% of the total amount of the stay (credit card or bank transfer). Pay in full at the moment of booking (credit card or bank transfer) and receive a discount of 10%. Offer valid for reservations made at least 15 days prior to arrival. The rooms must be checked out by 11:00 a.m. In the event there are no other arrivals expected on the same day of departure and our guests wish to leave the room later than 11:00, there is and additional cost of 10 euro per extra hour. In any case, the rooms must be left by 3 p.m. Luggage custody is available. Check-in is normally after 1:00 p.m. It is possible to arrange different times of arrival. Guests are kindly asked to let us know in advance their estimated time of arrival. Towels and linens are changed once every 3-4 days. Upon request with an additional cost it is possible to request more frequent changes. Guests are retained responsible for any eventual damages. In case of cancellation of a confirmed reservation, a cancellation fee will be applied. If one cancels 15 days or more prior to the arrival date, the deposit paid will be retained as a cancellation fee and it could be used as credit for another stay with the same features . If the cancellation occurs within 15days of the arrival date the entire deposit will be retained (regardless of whether the deposit is 50% or 100% (Savings Option A). In case of last-minute reservations, the total amount must be paid at the time of booking and is non-refundable. Prices do not include the costs of any extra activities and/or excursions organized for guests (tastings, horseback riding, etc. ), which will be clearly stated before confirming the activity. The cost of laundry service is not included as well as the frequent change of towels which occurs automatically every 3/4 days. La Locanda nel Cassero has a renowned and praised restaurant, also mentioned in many guides. The premises of the restaurant, once used as an olive mill, has been restored bringing back the medieval structure to its former glory. The stone walls and colored plaster, the fireplace, the rustic furniture according to the Tuscan “arte povera” tradition, offers the opportunity to taste the flavors of a traditional Tuscan cuisine in a warm and welcoming environment. Chef Alessandro Prosperi proposes a reinterpretation of the Tuscan cuisine using only fresh seasonal ingredients. The menu varies with the ingredients available and includes “antipasti” (appetizers), first and second course dishes and desserts, also suitable to meet the needs vegetarians. The restaurant is closed on Tuesdays and at lunch on Thursdays. Reservations are recommended, especially for garden which has limited seating. In accordance with the Spa at “Terme di Petriolo”, guests of the Locanda nel Cassero are offered access and discounted treatments, as so to take advantage of the sulphurous thermal springs overlooking the splendid panorama of the Farma-Merse. In collaboration with La Ardengo ranch located in Civitella Marittima it is also possible to organize excursions on horseback from a few hours to a few days, to discover exciting glimpses of Maremma from the hills to the sea. Leaving directly from the town of Civitella in a minute you will be immersed in an immense forest and as you continue discover the uncontaminated and wild nature with evocative and panoramic views. E-bikes are also available (bikes with assisted pedal power) for guided tours in the area by reservation. 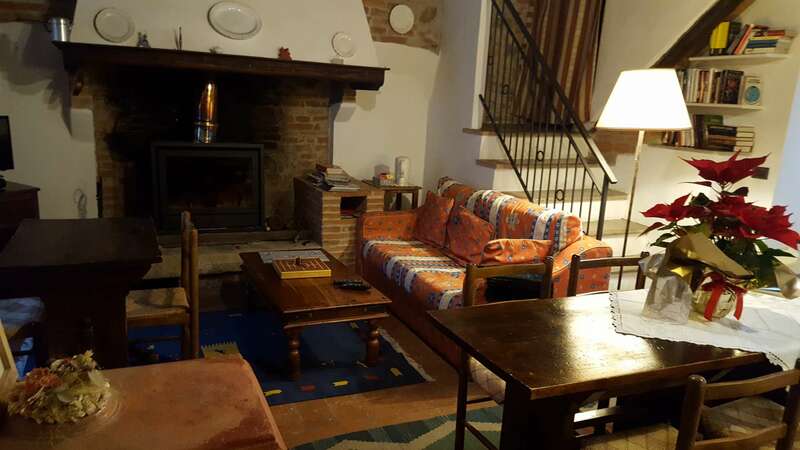 La Locanda nel Cassero,bed and breakfast in Alta Maremma, is located in the heart of Tuscany, in the medieval village of Civitella Marittima. The village is situated halfway between Siena and Grosseto and is ideally located between the crossroads of the most famous and popular areas of Tuscany: Siena, Val d’Orcia, Crete Senesi, Maremma, the Colline Metallifere and Massa Marittima, the Maremmana coast, with the Argentario, the Natural Park of Maremma, Mount Amiata, the Etruscan areas of Roselle andPitigliano. In just over an hour you can easily reach Florence to the north and Lake Trasimeno to the east. Pisa is 2 hours away and Lucca approx. 1 hour and 45 minutes. 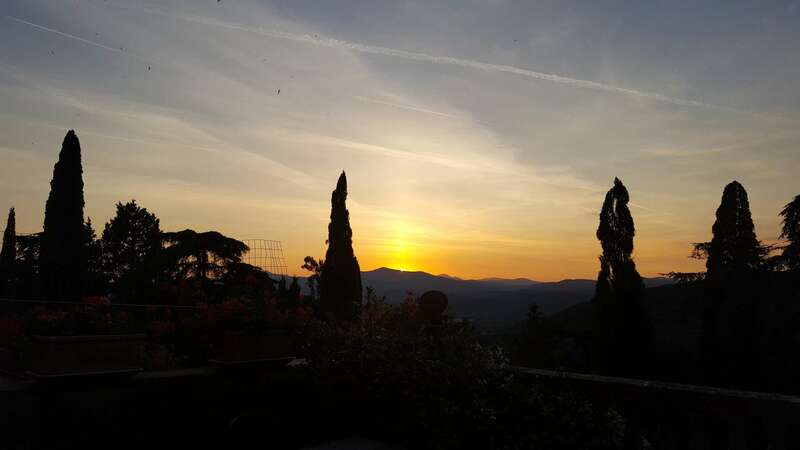 La Locanda nel Cassero is an ideal base to explore southern Tuscany and to enjoy one of the most beautiful corners and most peaceful and unchanged parts of the region. One may choose a mountain one day and the other the sea; one day a city of art and the other enjoy the uncontaminated and dramatic Tuscan countryside, with its hills and its rows of cypress trees, the country churches and farmhouses, the large oak trees and vineyards, olive groves and red sunsets. Arriving from Florence Autostrada A1 exit at Firenze-Certosa and continue towards Siena/Grosseto. Remain on this road even when it turns to highway E 78 (4 lanes) and then highway SS 223 (2 lanes) always driving towards Grosseto. Approx. 35 km after Siena, exit atCivitella Marittima on your right. Arriving from Rome you need to take the Aurelia in direction Civitavecchia/Grosseto and continue towards Grosseto. Once you reach Grosseto then continue towards Siena on the E 78/SS 223. Approx. 30 km after exit atCivitella Marittima on your right. From Pisa take the Autostrada A 12 (Genova/Civitavecchia) in direction Livorno. At the end of the autostrada continue on highway Aurelia in direction Grosseto. Exit at Gavorrano Scalo (after Gavorrano) and continue for Ribolla and Roccastrada. Approaching Roccastrada immediately after the IES gas station on your left, cross the intersection straight for Civitella Marittima (11 km). If you miss the exit for Gavarrano Scalo you can go to Grosseto and follow the directions provided above. For those arriving from Firenze/Siena and Grosseto/Roma, once you exit the highway, enter town turning left at the roundabout next to the cemetery and go uphill until you reach the main parking lot by the pharmacy and before the Town Hall (Municipio). For those arrivingfrom Pisa, continue straight at the roundabout going uphill to the main parking lot. We recommend you park your car herebecause the roads are narrow and there are few parking spaces in town. We will be happy to explain to you where you can park closer to La Locanda once you get here. The village dates to medieval times with the first documentation of the Castle of Civitella being around 1000 A.D., following the construction of the Abbazia Ardenghesca. The history is tied to the Ardengheschi family and is originally known as Civitella Ardenghesca and it remained unchanged for many years up to the fall of the powerful family in the 15th century. The name used thereafter was Civitella Marittima, which means “a little town in Maremma”, even though the surrounding area is still referred to as the “Ardenghesche hills”. The village lays on top of a hill that overlooks the hills of Maremma on one side and on the other the hills of Siena. It is a typical Tuscan village: with houses that have been built one on top of the other creating one single nucleus from the stone and brick wall features that reveal the ancient medieval origins and in the squares in the center and narrow streets that intersect with the local everyday life. The surroundings of Civitella Marittima are characterized by the uncontaminated nature of the forests, undulating hills and beautiful landscapes thanks to its position where these beautiful panoramas can be admired as far as the eye can see. Among the places that deserve to be mentioned and whose history is inextricably tied to that of the historical territory of the area of the Terme di Petriolo. Bagni di Petriolo, is the name of the town situated 10 km away from Civitella and well-known since ancient times for the source of the sulphurous thermal springsthat flow there,and their healing benefits, which even today is a very popular destination for spa and health treatments. The ruins of the ancient fortress and the historical testimonies recount the battles that were fought as well as the passage of distinguished personalities such as the kings, popes and noblemen. Civitella Marittima is strategically positioned, from here you can reach in just a few minutes the numerous historical-artistic and naturalistic touristic interests: Siena, San Gimignano, Grosseto, Montalcino, Massa Marittima, Pitigliano, Volterra, the archeological site of Roselle and Ansedonia, the abbey of San Galgano and San Antimo, the springs of Petriolo and Saturnia, the Natural Park of Maremma (WWF), the park of Amiato and the Park of Val d’Orcia. The beaches along the coast of Castiglione della Pescaia, Follonica, Marina di Grosseto and Mount Argentario with Porto Stefano and Porto Ercole; also connections to the islands of the Tuscan Archipelago such as Elba and Giglio are easy. Guests should also not to forget to enjoy the wonderful gastronomic and wine tradition of Maremma. There are many different moments tied to the seasonal products and collecting of them. Hunting, fishing, agriculture, wine and oil all belong to the traditions of this land and of its daily lifestyle. To request information and availability or to book, please call (+39) 0564 900680, or send us an e-mail at info@locandanelcassero.com. The restaurant is closed on Tuesdays. It is always best to make a reservation by phone in advance, especially on weekends. Thank you. You may also fill out here below the reservation form with at least one week in advance. Please note that the form is only for availability requests and does not confirm your reservation. All reservations need to be confirmed by us via e-mail after appropriate information is provided.